I recently posted the following meme referencing a challenging day. The reference to people and profession is applicable in most vocations, especially if your line of work includes interactions with others. Essentially, all professions involve people in one way or another. I remember a book I read to my daughter many times throughout her childhood, a book titled Alexander and the Terrible, Horrible, No Good, Very Bad Day written by Judith Viorst. Allow me share a quick overview of the story. From the moment Alexander awakens, things just don’t go his way. As he wakes up, he finds the chewing gum that was in his mouth the night before, winds up in his hair. When he gets out of bed, he trips on his skateboard and drops his sweater into the sink while the water was running. At breakfast, his brothers, Anthony and Nick, reach into their cereal boxes and find amazing prizes, while he ends up with just cereal. In the car on the way to school, he doesn’t get a window seat. His teacher, Mrs. Dickens, doesn’t like his picture of the invisible castle (which is actually just a blank sheet of paper). He’s criticized for singing too loud and leaving out the number 16 at counting time. His friend Paul deserts him for his third best friend and there is no dessert in his lunch bag. The dentist tells him he has a cavity (Amongst his siblings, he is the only one). The elevator door closes on his foot, Anthony pushes him into a mud puddle, Nick calls him a crybaby and he punches Nick in response. Alexander is punished for being muddy and for trying to punch Nick. At the shoe store, they’re out of Alexander’s choice of sneakers (blue ones with red stripes), so his mother has to buy him plain white ones. At his father’s office, he makes a mess of things (the copy machine, books, and telephone) while playing around. His father exclaims not to pick him up anymore. At home, they have lima beans for dinner (which he hates), there’s kissing on TV (which he also hates). Bath time becomes a nightmare, the water’s too hot, soap in the eyes, and his marble goes down the drain. To top it all off, he has to wear his railroad train pajamas (he hates those)! At bedtime, his nightlight burns out, he bites his tongue, Nick takes back a pillow he said he could keep, and the cat chooses to sleep with Anthony. One repeating phrase throughout the book is Alexander’s claim to move to Australia (surely life is better there). The book concludes with his mother’s assurance that everybody has bad days, even those who live in Australia! Well, maybe your bad days don’t include gum in your hair or kissing on TV. Whatever it is that creates a bad day in your book doesn’t matter; what does matter, is the fact that you had a bad day. How we react and respond to bad days exposes our leadership maturity and our ability to continue to effectively influence others. In reference to the meme I previously posted, my bad day was filled with numerous calls involving various groups and individuals. It included repeating the same information multiple times to multiple groups of people. The topic was simple…is the work area safe? If not, then don’t do it! This sounds simple, but apparently not. Come on people…it’s not that hard! Needless to say, my patience waned and it was one of those days that I was ready to end! As you probably know, I study leadership diligently. I am a certified coach, trainer and speaker for the John Maxwell Group. I teach and speak about leadership daily. 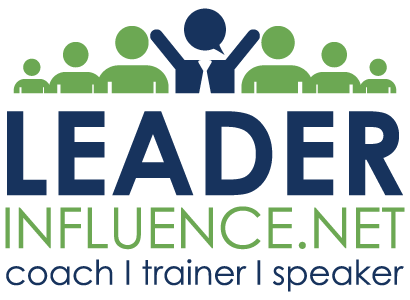 I assist professionals through the coaching process to become better leaders. With all of these leadership activities, I shouldn’t struggle with leadership issues right? No, not really. In fact, I think I struggle more because I know when I’m wrong and what I should do. Sometimes my strong-willed personality prevails (I’ve found, however, that it’s not always a bad thing). Most of my personal leadership growth and training comes from daily interactions with people and real world situations; hence the reason why I try to provide practical and relevant insights in becoming a better leader. I won’t waste an opportunity right now to do the same; listed below are 11 nuggets of wisdom that I’ve learned from my recent experience. YOUR REACTION IS YOUR RESPONSIBILITY – The way you react to the situation causing your bad day is 100% your responsibility. Slow down and think before you react. EVERYTHING IS AN OPPORTUNITY – Everything that happens is an opportunity for personal development. Don’t miss out! YOU MUST ALWAYS LOOK FOR WAYS TO INFLUENCE – Take this opportunity to influence those involved. Remember, adding value will allow you to influence and influence will produce leadership. YOUR ATTITUDE IS CONTAGIOUS – Your attitude in difficult times has a direct effect on others. Never forget, attitude is contagious. DISTANCE YOURSELF FROM WHATEVER IS CREATING YOUR BAD DAY – Whatever caused difficulties, look for ways to disconnect or remove yourself from the situation. ACCEPT THE CHALLENGE – Remember that everything is an opportunity. Identify the cause and look for ways to correct, eliminate, or make better. DON’T OVER-ANALYZE THE DAY – It’s just a bad day. Reflect and make adjustments. Remember…yesterday ended last night! LEARN A LESSON –Without over-analyzing, look for the lesson in the situation. DON’T ALLOW ONE BAD DAY TO CAUSE ANOTHER – Come on, it was one day in your life. Don’t carry grudges against people or situations. IF BAD DAYS BECOME CHRONIC, RE-EVLAUATE – If you continue to have bad or difficult days, then maybe you need to re-evlauate your approach, work habits, etc. NEVER LOSE SIGHT OF THE BIG PICTURE – Regardless of what happens, remember you have a purpose. Make adjustments when necessary, but stay the course and strive to exceed expectations. There you have it, those are some of the things I learned or identified as a result of my recent bad day. I refer to them often and adjust them to fit my particular situation. I encourage you to do the same. Just remember, everyone has a bad day…EVEN IN AUSTRALIA! Previous Post Previous post: You Told Them!